1 Slow-speed engines are the most efficient engines for converting fuel energy via heat into rotary motion to generate electricity. Fuel cells, which turn chemical energy directly into electrical energy, can be more efficient. 2 The two stroke is efficient and extremely tolerant of poor quality fuels. 3 Otto's engine probably burnt powdered coal but gasoline soon became the preferred fuel. 4 Technology Characterization: Reciprocating Engines, US Environmental Protection Agency, 2002. 5 Refer supra note 4. 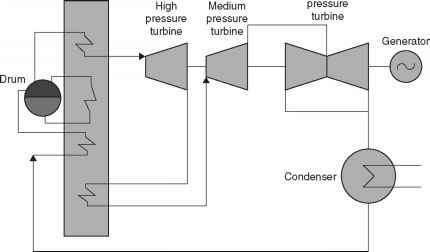 6 A turbocharger is sometimes used to compress air before it is admitted into the cylinder of an internal combustion engine. 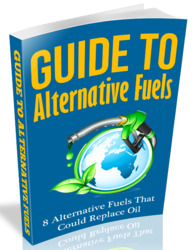 This can lead to improved performance by generating greater power from the engine. 7 PA Consulting Independent Power Database, Energy Nexus Group. Figures are quoted in Technology Characterization: Reciprocating Engines, US Environmental Protection Agency, 2002. 8 The plant was built by Burmeister and Wain Scandinavian Contractor. 9 Refer supra note 4. 10 Refer supra note 4.